Paige being in on the family secret isn't nearly as annoying as it could have been. 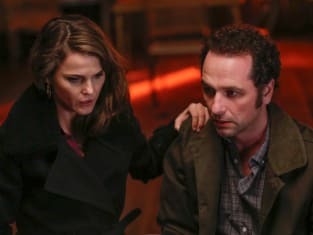 In fact, Paige even had the opportunity on The Americans Season 4 Episode 3 to realize that when you entrust one person with your secret, them telling another (just like she did) even if only to try to work it out, can bring undue stress into the situation. That's exactly what happened because Pastor Tim told his wife Alice. Complicating matters? Gabriel just can't get rid of that darn Glanders. Like, really. Can I just say up front that while I absolutely adored the Asian woman, and understood that Elizabeth was bringing her in as an asset, I totally missed the why of it all. Was that explained or was she the focus because of her Americanism? The story about green makeup was really touching. Go Mary Kay! I guess it could just be a contrast of how Elizabeth and Philip were going to pull in Pastor Tim. It was utterly amazing to see them sitting before him talking about being spies. Tim must have thought it was just surreal. So much for my theory that he considered Paige a teen who was stretching the truth. Do you think spies start to believe when talk about themselves as peace workers and say they are trying to forge a relationship between two nations? What must a man like Pastor Tim be thinking when he has the gall to call them out on their religious beliefs, assuming they hurt people? And I don't know about you, but when they asked if Tim had told anyone and Philip said, "Like your wife...," my heart plummeted, and I don't even know Alice. What could Tim have been thinking in that moment? That he followed it up by arguing the moment with Paige was ludicrous. In my wildest dreams (and there were a lot of dreams, come to think of it), I cannot imagine actually sharing what I felt about Soviet spies with the spies in question. Elizabeth pretty much decides they have to take care of Tim and Alice, despite what Philip believes. He knows Paige isn't stupid and will immediately suspect them. Even Gabriel would prefer to get the Jennings out of Dodge. But Claudia wants the Center to decide. Their decision? Epcot Center. If the Jennings go to Epcot, the Center can dispose of Tim and Alice and no one will be the wiser. Right. Because Paige is sooo stupid. Pretty much everyone comes to the place where they thing this is the wrong decision, but they're going forward with it. Or are they? Thankfully, they don't have to decide, because Glanders. Part of me wonders if Gabriel did that on purpose. He tried to get Claudia to listen, and she wouldn't. Maybe the only recourse he could think of was to activate a biological agent. That's desperate, for sure, but could he be softening? Their timing couldn't be worse. I'd imagine Paige will think the worse. They're all ready to go to Epcot and suddenly her parents aren't coming home. That's going to be a tough one to swallow. Over in the Soviet Union, Nina's having terrible dreams. Her dream about Stan and Antom felt like a funeral. Is Anton dead? Is he imagining her death? It's hard to believe she's right back where she started. While her story isn't the most exciting, I can't help but believe they're showing it to remind us that the people who are deciding her fate are the same to whom Elizabeth and Philip pledge their loyalty. They're all part of the same system. Nina was a spy. Elizabeth and Philip are spies. The actions required to label you a traitor? Not all that horrific. When you stand Nina next to the Jennings, how to they stack up? Should she be locked up while they remain free? Surely not, by their standards. Stan is also onto Martha. Could it be because she's always so dour? It wouldn't hurt her to put a smile on her face once and again. She needs to play the game. She saw what happened to Gene. It could happen to her, too. Tell me what you think. There is a conference call with Annet Mahendru (Nina) tomorrow, so if you have anything you'd like to to try to ask, please post in the comments! 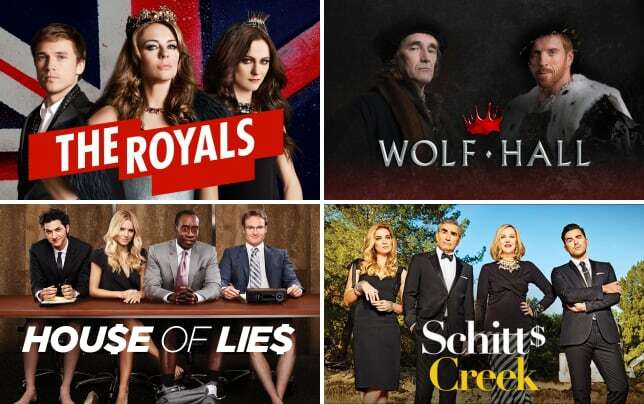 Don't forget, you can watch The Americans online right here at TV Fanatic anytime!